If you follow my blog regularly then you will know that recently I had a promotion at The New Saints FC. As this is my third season at the club, it hasn’t been like something brand new, where you get thrown in at the deep end, so to speak. Therefore the transition has been smooth, just getting used to the extra workload has meant that I’ve been more focused and devoted as far as my time has been concerned. 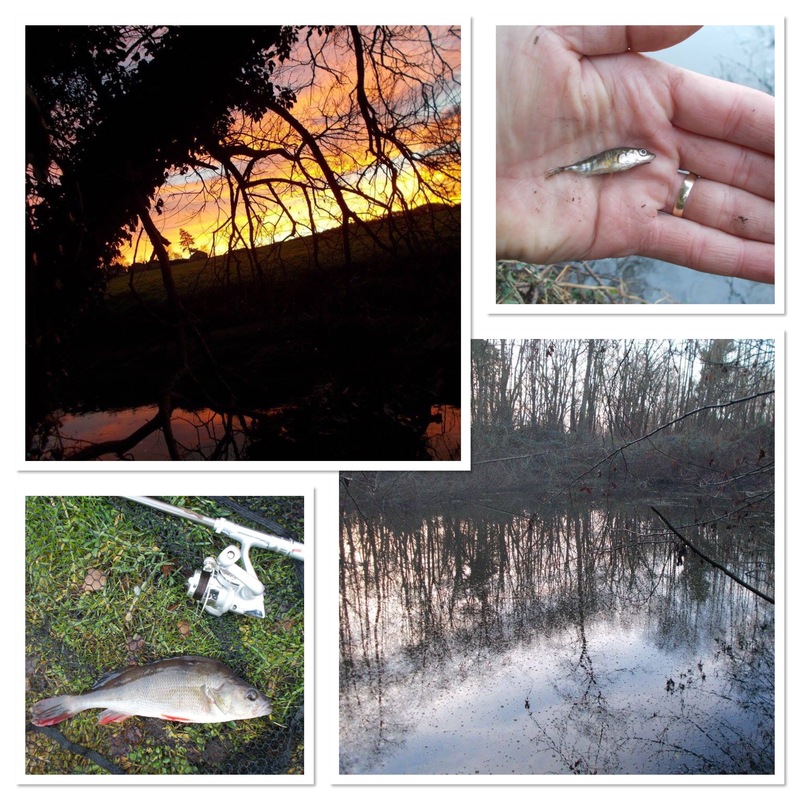 However, I’ve still found time for fishing, albeit very short sessions that I’ve grabbed whenever I can. My angling is very important to me, not just because I enjoy it so much, but that it is a litmus test of balance in my life. I don’t mind being very busy as far as work and other stuff is concerned, just as long as I can get out bank-side as much as possible. This week I’ve done seven sessions, but every one less than an hour. My telescopic rod has been a real blessing in that respect as I’ve been able to travel very light indeed. That way I’ve been able to make the most of every opportunity, even the very limited ones, and get a bait in the water. 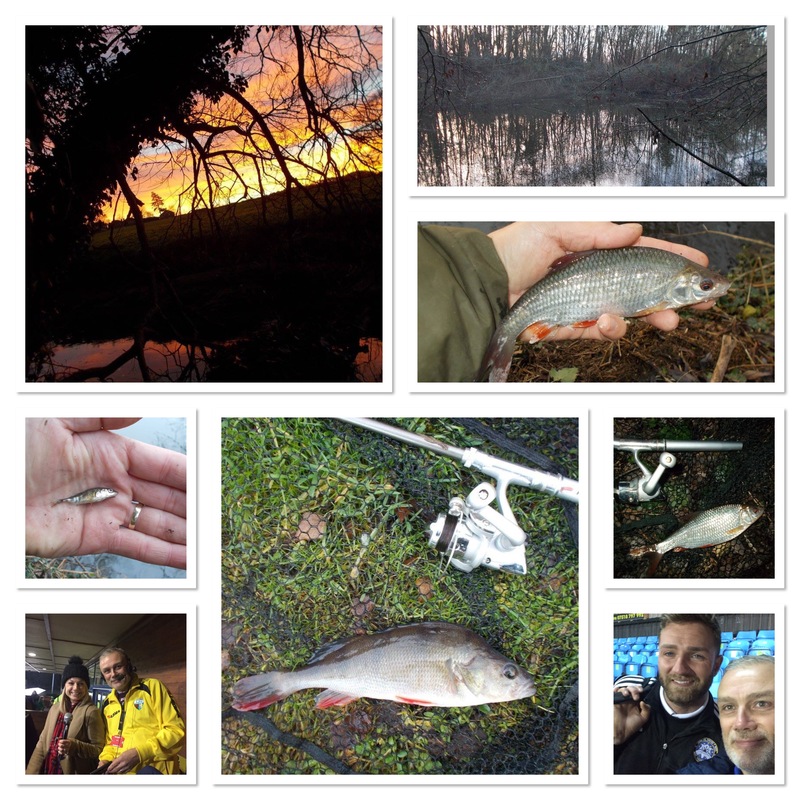 My fishing time has been split between canals and a small brook that I’ve been fishing a lot this year. I also made a visit to a pool very close to Park Hall, the home of TNS. I decided to give it a go, so ventured along for a quick pioneering visit. It looks good (it’s one of the photos in this week’s blog entry) but unfortunately the water is stagnant. As soon as I approached it, I could smell that it wasn’t healthy. Well, I gave it a go anyway, but as expected, no action at all. It’s shallow and surrounded by high trees, so a combination of little sunlight and thousands of decaying leaves means that fish won’t survive in the toxic water. 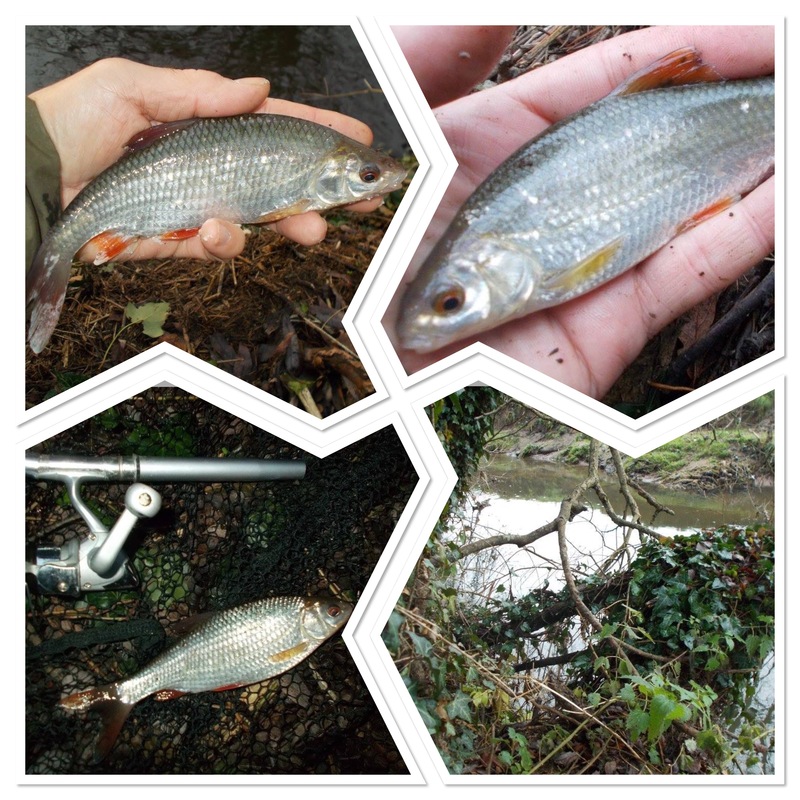 Roach, perch and a solitary stickleback all put in an appearance this week. I fished with red maggots on the hook over the same as loose feed. The telescopic rod is made up, with 6lb line, size 10 hook and a 1/3 lead. The hook-length is created by a small shot. The set-up seems heavy for roach and of course that’s true. As the fish on the brook aren’t fished for though they’re not shy at all. From the first cast through till the time the tiny, intimate swims go dead after I’ve caught a few, it’s action all the way. In time I may scale down but as I’m using the same set-up for the canal as well, at the moment it’s easy and convenient. By the way, the stickleback was caught fair and square on the size 10 hook. It engulfed one of the maggots (I fish a clump) and hooked itself on the point. As my blog is also a personal one, there is also other stuff as well that I share. As I can embed Facebook posts on this blog theme, the easiest way is to do exactly that. It avoids the repetition of writing everything out again, and of course, brings something extra to the blog entry in terms of presentation. Unlike Myspace before it, I don’t think Facebook is going to decline. Far from it, it seems to be very innovative and goes from strength to strength. Love it or hate it, it’s here to stay. Personally I see the benefits, and indeed there are many. Like anything in life, your social media experience is pretty much what you put in. I see people complaining that Facebook is full of arguing, yet what they fail to understand is that if you are opinionated and post stuff that gets others going, they’ll respond.